Chelsea G. Apr.28 McKinnon C.
Keilor T. Apr.28 Werribee D.
Corio Bay S Apr.27 Chelsea G.
Werribee D. Apr.27 Casey C.
Diamond V.E Apr.28 Hobart H.
Geelong S. Apr.27 Kilsyth C.
Knox R. Apr.27 Ballarat M.
Ringwood H. Apr.27 Eltham W.
BA CoE Apr.25 Geelong S.
C.District L Apr.27 Sturt S.
Norwood F. Apr.27 Southern T.
N.Adelaide R Apr.25 Southern T.
Norwood F. Apr.25 Eastern M.
Brisbane C. Apr.28 Cairns M.
Ipswich F. Apr.28 Mackay M.
Logan T. Apr.27 Mackay M.
SD Spartans Apr.27 Cairns M.
Gold Coast R Apr.26 Mackay M.
NGC Seahawk Apr.26 Cairns M.
Willetton T Apr.28 Mandurah M.
SW Slammers Apr.27 Lakeside L.
Rockingham F Apr.27 Cockburn C.
Joondalup W Apr.26 E.Perth E.
Mandurah M. Apr.26 Perth R.
Perry Lakes Apr.25 Warwick S.
Cent.Coast C Apr.27 Maitland M.
Newcastle H Apr.27 Hornsby S.
Penrith P. Apr.27 Manly Warr. The Regular Season in NBL just started. Here is the last round review presented by ESL. Perth Wildcats smashed Illawarra Hawks at home 101-61. They outrebounded Illawarra Hawks 37-26 including 27 on the defensive glass. Perth Wildcats looked well-organized offensively handing out 25 assists. Worth to mention a great performance of American guard Terrico White (196-90, college: Mississippi) who helped to win the game recording 20 points. International power forward Nick Kay (206-92, college: Metro St.) contributed with 14 points for the winners. American forward Brian Conklin (201-89, college: St.Louis) answered with 17 points for Illawarra Hawks. The winner was already known earlier in the game, so both coaches allowed to play the bench players saving starting five for next games. Illawarra Hawks will play next round against strong Cairns Taipans trying to get back on the winning streak. Perth Wildcats will try to continue on its current victory against Bullets in Brisbane. New Zealand Breakers (1-1) recorded a loss in Auckland. Hosts were defeated by Bullets (1-1) 86-73. International swingman Cameron Gliddon (197-89, college: Concordia Irvine) stepped up and scored 29 points and 6 rebounds (made all of his eight free throws) for the winners and Alonzo Gee chipped in 13 points and 6 rebounds. At the losing side New Zealand guard Corey Webster (188-88, college: Lambuth) responded with 23 points. New Zealand Breakers' coach rotated ten players in this game, but that didn't help. Bullets will play against Perth Wildcats on the road in the next round and it will be for sure the game of the week. New Zealand Breakers will play against Kings to get more than just one victory in their record. An interesting game was also home defeat of Illawarra Hawks in a game in Gwynneville versus United (#2) 123-122. Illawarra Hawks were very close to get their first win. But it seems they have to wait a little bit longer. Josh Boone nailed a double-double by scoring 24 points, 13 rebounds and 5 blocks for the winning side. Andrew-James Ogilvy came up with a double-double by scoring 15 points and 21 rebounds for Illawarra Hawks in the defeat. Both coaches used bench players in such tough game. United will meet at home Adelaide 36ers (#4) in the next round. Illawarra Hawks will play against Cairns Taipans (#2) and hope to win that game. We should not miss anothera road victory of Perth Wildcats (2-0) over Adelaide 36ers (1-1) 99-91. Bryce Cotton fired 22 points and 5 assists for the winners. Both coaches tested many bench players which allowed the starters a little rest for the next games. Perth Wildcats' next round opponent will be Bullets (#3) in Brisbane, which may be the game of the day. Adelaide 36ers will play on the road against United in Melbourne and hope to win that game. Very important is a home loss of United (1-1) against New Zealand Breakers (1-1) on Sunday night. Host United was defeated by New Zealand Breakers in a tough game in Melbourne 81-88. It was a very good performance for Tai Wesley who helped to win the game recording 25 points and 6 rebounds. Both coaches allowed to play bench players saving starting five for next games. New Zealand Breakers will face Kings (#7) in Sydney in the next round. United will play at home against Adelaide 36ers (#4) and it may be a tough game between close rivals. In the last two games of round 1 Taipans beat Bullets on the road 88-70. Winless Kings lost to 36ers on its own court 83-94. The most impressive performance of 1st round was 22 points and 10 rebounds by Daniel Johnson of 36ers. New Zealand Breakers (1-1) recorded a loss in Auckland. Hosts were defeated by Bullets (1-1) 86-73. International swingman Cameron Gliddon (197-89, college: Concordia Irvine) stepped up and scored 29 points and 6 rebounds (made all of his eight free throws) for the winners and American guard Alonzo Gee (198-87, college: Alabama) chipped in 13 points and 6 rebounds. Four Bullets players scored in double figures. At the losing side New Zealand guard Corey Webster (188-88, college: Lambuth) responded with 23 points and American forward Shawn Long (208-93, college: La-Lafayette, agency: Pensack Sports) scored 10 points and 7 rebounds. New Zealand Breakers' coach rotated ten players in this game, but that didn't help. Bullets will play against Perth Wildcats on the road in the next round and it will be for sure the game of the week. New Zealand Breakers will play against Kings to get more than just one victory in their record. Very important is a home loss of United (1-1) against New Zealand Breakers (1-1) on Sunday night. Host United was defeated by New Zealand Breakers in a tough game in Melbourne 81-88. The guests trailed by 9 points after first quarter, but they rallied back winning two of next three quarters and won the game by 7 points. New Zealand Breakers dominated down low during the game scoring 62 of its points in the paint compared to United's 34. Great defensive blocking was one of the keys in this match when New Zealand Breakers made 7 blocks. It was a very good performance for American-Fijian forward Tai Wesley (201-86, college: Utah St.) who helped to win the game recording 25 points and 6 rebounds (made all of his seven free throws). New Zealand forward Thomas Abercrombie (198-87, college: Washington St.) contributed with 16 points and 5 rebounds for the winners. The former international guard Chris Goulding (192-88) answered with 22 points and international guard Mitchell McCarron (191-92, college: Metro St.) added 14 points, 8 rebounds and 4 assists in the effort for United. Four United players scored in double figures. Both coaches allowed to play bench players saving starting five for next games. New Zealand Breakers will face Kings (#7) in Sydney in the next round. United will play at home against Adelaide 36ers (#4) and it may be a tough game between close rivals. Perth Wildcats smashed Illawarra Hawks at home 101-61. They outrebounded Illawarra Hawks 37-26 including 27 on the defensive glass. Perth Wildcats looked well-organized offensively handing out 25 assists. Worth to mention a great performance of American guard Terrico White (196-90, college: Mississippi) who helped to win the game recording 20 points. International power forward Nick Kay (206-92, college: Metro St.) contributed with 14 points for the winners. Five Perth Wildcats players scored in double figures. American forward Brian Conklin (201-89, college: St.Louis) answered with 17 points and swingman Tim Coenraad (201-85, college: Nova SE) added 10 points and 8 rebounds in the effort for Illawarra Hawks. The winner was already known earlier in the game, so both coaches allowed to play the bench players saving starting five for next games. Illawarra Hawks will play next round against strong Cairns Taipans trying to get back on the winning streak. Perth Wildcats will try to continue on its current victory against Bullets in Brisbane. An interesting game was also home defeat of Illawarra Hawks in a game in Gwynneville versus United (#2) 123-122. Illawarra Hawks were very close to get their first win. But it seems they have to wait a little bit longer. United looked well-organized offensively handing out 26 assists. 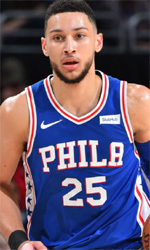 American forward Josh Boone (208-84, college: Connecticut) nailed a double-double by scoring 24 points, 13 rebounds and 5 blocks for the winning side and his fellow American import forward DJ Kennedy (198-89, college: St.John's) accounted for 21 points and 9 rebounds. The former international center Andrew-James Ogilvy (211-88, college: Vanderbilt) came up with a double-double by scoring 15 points and 21 rebounds and the former international swingman Todd Blanchfield (200-91) added 26 points, 7 rebounds and 4 assists respectively for Illawarra Hawks in the defeat. Both teams had five players each who scored in double figures. Both coaches used bench players in such tough game. United will meet at home Adelaide 36ers (#4) in the next round. Illawarra Hawks will play against Cairns Taipans (#2) and hope to win that game. There was a surprise result when Cairns Taipans (1-0) beat Bullets (1-1) in Brisbane 88-70 on Saturday. Cairns Taipans made 25-of-33 free shots (75.8 percent) during the game. They looked well-organized offensively handing out 21 assists. Bullets were plagued by 26 personal fouls down the stretch. Quite impressive performance for American guard Melo Trimble (190-95, college: Maryland) who helped to win the game recording 32 points and 5 rebounds. His fellow American import guard DJ Newbill (193-92, college: Penn St.) contributed with a double-double by scoring 16 points, 10 rebounds and 5 assists for the winners. Four Cairns Taipans players scored in double figures. New Zealand swingman Reuben Te-Rangi (198-94) answered with 18 points (made all of his seven free throws) and American guard Alonzo Gee (198-87, college: Alabama) added 8 points and 10 rebounds in the effort for Bullets. Bullets' coach let to play eleven players seeing no chance for a win. Cairns Taipans will face Illawarra Hawks (#8) in Gwynneville in the next round which should be theoretically an easy game. Bullets will play on the road against Perth Wildcats (#1) and it may be a tough game between close rivals. We should not miss anothera road victory of Perth Wildcats (2-0) over Adelaide 36ers (1-1) 99-91. Perth Wildcats made 21-of-24 charity shots (87.5 percent) during the game. American guard Bryce Cotton (185-92, college: Providence, agency: Pensack Sports) fired 22 points and 5 assists for the winners. International power forward Nick Kay (206-92, college: Metro St.) chipped in 18 points and 8 rebounds. The former international power forward Daniel Johnson (212-88, college: Pepperdine) produced a double-double by scoring 23 points and 10 rebounds and international guard Nathan Sobey (190-90, college: Wyoming) added 20 points and 6 assists respectively for lost side. Both teams had four players each who scored in double figures. Both coaches tested many bench players which allowed the starters a little rest for the next games. Perth Wildcats' next round opponent will be Bullets (#3) in Brisbane, which may be the game of the day. Adelaide 36ers will play on the road against United in Melbourne and hope to win that game. There was a minor upset when Kings (0-1) lost to Adelaide 36ers (1-1) in Sydney 83-94 on Saturday. Adelaide 36ers dominated down low during the game scoring 62 of its points in the paint compared to Kings' 40 and made 17-of-18 free shots (94.4 percent) during the game. Quite impressive performance for the former international power forward Daniel Johnson (212-88, college: Pepperdine) who helped to win the game recording a double-double by scoring 22 points and 10 rebounds. International guard Nathan Sobey (190-90, college: Wyoming) contributed with 21 points and 4 assists for the winners. Four Adelaide 36ers players scored in double figures. Adelaide 36ers' coach Joey Wright used an eleven-player rotation and allowed the starting five to rest. Ukrainian-American point guard Jerome Randle (175-87, college: California) answered with 28 points and 7 assists and the former international center Andrew Bogut (213-84, college: Utah) added 6 points, 15 rebounds, 4 assists and 4 blocks in the effort for Kings. Adelaide 36ers will face United (#6) in Melbourne in the next round. Kings will play on the road against New Zealand Breakers in Auckland and it may be a tough game between close rivals. 23-year old swingman C.J. Turnage (201-F/G-95) put on an extraordinary performance in the last round for Southern T. and receives a Interperformances State League Player of the Week award for round 8. He had a double-double of 31 points and 14 rebounds, while his team crushed W.Adelaide B. (#7, 3-4) with 20-point margin 113-93. Southern T. is placed at 3rd position in their group in Australian State League. They would have been even better if they did not have these two lost games earlier in Regular Season. Southern T. will need more victories to improve their 5-2 record. In the team's last game Turnage had a remarkable 64.7% from 2-point range. He turned to be Southern T.'s top player in his first season with the team. Saginaw Valley State University graduate has very impressive stats this year. Turnage is in league's top in points (6th best: 27.0ppg) and averages solid 55.4% FGP. Second best performed player last round was Earnest Ross (198-G-91, agency: Haylett Sports) of top-ranked Joondalup W.. He is Guamanian-American guard in his first season at Joondalup W.. In the last game Ross recorded impressive double-double of 33 points and 11 assists. Bad luck as Joondalup W. lost that game 92-98 to slightly lower-ranked Rockingham F. (#3, 5-2). 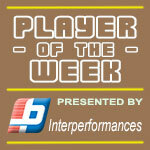 It was definitely game of the week between two contenders to the top position in SBL. Joondalup W. still maintains its place as the top team in the standings, even despite this loss. His team has currently 6-2 record. Ross is one of the most experienced players at Joondalup W. and has a reputation of one of team's most reliable players. Third place about best performers goes to forward Marvin Smith (201-F-93) of Mandurah M. (#12). Smith scored 26 points and passed nine assists. He was a key player of Mandurah M., leading his team to a 94-88 win against SW Slammers (#14, 0-8). Mandurah M. can only dream about fighting for top spots in SBL. They have rather bad season and 2-5 record places them close to the bottom of the standings. Too bad for Smith he does not play for a better team. But maybe if he did, his season stats would not be that high. Smith has a very solid season. In 6 games in Australia he scored 13.8ppg. He also has 5.3rpg, 1.3bpg and FGP: 58.2%. Here is the weekly review of the top performing Australian players, who play currently abroad. #1. This week's number one is former international point guard Ben Simmons (208-96, college: LSU, currently plays in NBA). Simmons led Philadelphia 76ers to a victory over the Brooklyn Nets (42-40) 131-115 in the NBA last Thursday. He was MVP of the game. Simmons scored 31 points (!!! ), had 4 rebounds, passed 9 assists and added 3 blocks; quite an impressive performance considering it's only his third season in pro basketball. The Philadelphia 76ers have a solid 51-31 record this season. Simmons has individually a very good year with high stats. He averages: 17.0ppg, 8.7rpg, 7.7apg, 1.4spg, 2FGP: 57.0%(570-1000). Simmons played for the Australian senior national team five years ago. #2. Second place goes to an international power forward Mangok Mathiang (208-92, college: Louisville, currently plays in Italy). Mathiang contributed to a 3-point Vanoli Cremona's victory against the 12th-ranked Germani BR (13-14) 89-86 in the Italian Serie A in Sunday night's game. He recorded a double-double by scoring 12 points and getting 10 rebounds. Mathiang also added 2 blocks. Vanoli Basket Cremona (18-9) is placed third in the Serie A. It was his team's third consecutive victory in a row. There are only three games left until the end of the Regular Season. So now every game will be critical. It's Mathiang's first season with the team. He has relatively good stats this year: 10.6ppg, 9.7rpg, 2FGP: 62.3%(124-199) and FT: 51.4%. Mathiang has a dual citizenship: Australian and South Sudanese. He is in the roster of the Australian senior national team. #3. The Australian player who performed third best last week abroad was former University international swingman Xavier Cooks (203-95, college: Winthrop, currently plays in FIBA Europe Cup). Cooks contributed to a 3-point s Oliver Baskets' victory against the closely-ranked Openjobmetis VA (4-2) 89-86 in the FIBA Europe Cup last Wednesday. He scored 11 points, grabbed 9 rebounds and made 3 blocks in 22 minutes. It was the game of the round between two top 2 ranked teams in group I. s.Oliver Wuerzburg (6-0) is placed first. So far his team won all six games in the Semi-Finals. This year Cooks has relatively solid stats: 11.4ppg, 5.3rpg, 2.3apg, 1.1spg, 2FGP: 61.5%(67-109), 3FGP: 34.1% and FT: 61.4% in 18 games he played so far. He played for the Australian university national team two years ago. #4. Forward Deng Deng (203-92, college: Baylor, currently plays in Poland) was the major contributor in a 2-point MKS Dabrowa Gornicza's victory against the 14th-ranked AZS Koszalin (8-21) 93-91 in the Polish EBL on Saturday night. Deng scored 18 points and grabbed 4 rebounds. MKS Dabrowa Gorniczais placed fourth in the EBL. Deng has reliable stats this season: 11.8ppg and 6.8rpg. He is another player who holds two passports: South Sudanese and Australian. Deng used to play for the Australian U22 national team back in 2015. #5. An experienced former international center David Andersen (213-80, currently plays in France). He could not help SIG Strasbourg (17-11) to beat JL Bourg (16-12). Andersen scored 9 points and grabbed 6 rebounds in only 13 minutes. But SIG Strasbourg lost 73-83 on the road to the lower-ranked (#8) JL Bourg. This year Andersen's overall stats are: 5.5ppg and 3.8rpg in six games. He used to play for the Australian national team two years ago. #6. Center Andrew Bogut (213-84, college: Utah, currently plays in NBA) contributed to an easy victory against the Los Angeles Clippers (48-34) crushing them 132-105 in the NBA last Thursday. Bogut scored 8 points, had 14 rebounds and dished 5 assists. The Golden State Warriors have a solid 57-25 record this season. It was his team's sixth consecutive victory in a row. Bogut's total stats this season are: 4.1ppg, 5.9rpg and 1.5apg. He is a former international player as he played for the Australian senior team three years ago. #7. Former international point guard Patrick Mills (183-88, college: St.Mary's, CA, currently plays in NBA) was not able to help the San Antonio Spurs (48-34) in their last game. Despite Mills' good performance the San Antonio Spurs (48-34) lost 103-117 in Denver to the Nuggets. He recorded 12 points and added 3 passes in a mere 18 minutes. Mills is one of the most experienced players in a team as it's his seventh year in Spurs' roster. Mills averaged so far 9.7ppg, 2.2rpg and 3.0apg in 86 games. He used to play for the Australian national team three years ago. #8. Swingman Ben Madgen (193-85, college: Augusta, currently plays in Germany) was not able to secure a victory for Crailsheim Merlins (7-22) in their last game on Sunday. Despite Madgen's very good performance Crailsheim Merlins was defeated 101-92 in Bamberg by the much higher-ranked Brose Baskets (#5). He was the top scorer with 22 points. Madgen averaged so far 14.6ppg, 4.5rpg and 1.7apg. He used to play for the Australian national team back in 2014. #9. Former international small forward Joe Ingles (203-87, currently plays in NBA) couldn't help the Utah Jazz (50-32) in their game against the Houston Rockets (53-29) in the NBA. Ingles scored 8 points, had 8 rebounds and dished 5 assists in 31 minutes. The Utah Jazz (50-32) was edged 104-101 in Houston by the Rockets. Ingles has been at the team for five years. He has very impressive stats this season: 11.9ppg, 4.0rpg, 5.7apg and 1.2spg in 85 games. Ingles used to play for the Australian national team three years ago. #10. Center Matur Maker (208-98, currently plays in Slovenia) contributed to Zlatorog's victory against the fourth-ranked Ilirija (3-11) 93-82 in the Slovenian Liga Nova KBM on Friday night. He recorded a double-double by scoring 10 points and getting 13 rebounds. Maker also added 5 assists and 4 blocks. Zlatorog Lasko (8-6) is placed second in Places 7-10 group. His team will play only one more game in the Second Stage. And now that game is very crucial. Maker averaged so far 12.2ppg, 9.4rpg, 1.6apg and 1.1bpg. He is a former U19 international player as three years ago he still played for the Australian national team. #11. International power forward Nick Kay (206-92, college: MSU Denver, currently plays in New Zealand) contributed to an easy victory against the sixth-ranked Huskies crushing them 87-60 in the New Zealand NBL in Friday night's game. Kay scored 20 points and grabbed 8 rebounds in 27 minutes. Kay has very impressive stats this year: 22.5ppg, 9.5rpg and 5.0apg in two games. He plays currently for the Australian national team. #12. Former U22 international swingman Keanu Pinder (206-95, college: Arizona, currently plays in Poland) couldn't help Legia in their last game on Sunday. Despite Pinder's good performance Legia was edged 77-75 at home by the lower-ranked MKS Dabrowa Gornicza (#6). He scored 12 points and grabbed 8 rebounds. Pinder's total stats this season are: 6.7ppg and 3.6rpg. He used to play for the Australian U22 national team back in 2015. #13. Former international guard Adam Gibson (188-86, currently plays in New Zealand) couldn't help Rams (2-1) in their last game. Despite Gibson's very good performance Rams were edged 95-92 in Southland by the second-ranked Sharks. He was the top scorer with 21 points. Gibson also added 5 assists in 30 minutes. It was his first game for Rams this season. Gibson used to play for the Australian national team three years ago. #14. International swingman Todd Blanchfield (200-91, currently plays in New Zealand) faced previously mentioned Adam Gibson in the New Zealand NBL last game. Blanchfield was the main contributor in Sharks' victory against the closely-ranked Rams 95-92. He was the best player in that game. Blanchfield recorded 24 points and had 3 steals. This season Blanchfield has very high stats. He averages: 19.0ppg, 5.0rpg, 1.5apg and 2.5spg. Blanchfield plays currently for the Australian national team. #15. Former international point guard Joshua Wilcher (178-91, college: Cent.Wyoming, currently plays in United Kingdom) contributed to an easy victory against the league outsider Worcester Wolves crushing them 106-83 in the British BBL last Sunday. He scored 21 points, grabbed 6 rebounds and dished 7 assists in 38 minutes. Wilcher has very impressive stats this year: 17.6ppg, 3.6rpg, 6.8apg and 1.3spg in 30 games. He used to play for the Australian national team ten years ago. #1. Kyrie Irving (190-G-92, college: Duke, currently plays in NBA) led Boston Celtics to a victory over the Indiana Pacers (48-34) 99-91 in the NBA in Wednesday night's game. He was MVP of the game. Irving scored 37 points (!!! ), grabbed 6 boards, handed out 7 passes and blocked 2 shots in 39 minutes. The Boston Celtics have 49-33 record this season. Irving has individually a very good year with high stats. He averages: 23.7ppg, 5.0rpg, 7.0apg and 1.5spg in 71 games he played so far. Irving is a naturalized American. Strangely he has never played in Australia. #2. Josh Duinker (209-F/C-89, college: Richmond, currently plays in Japan) was the main contributor in a Kumamoto Volters' victory against the third-ranked Dragonflies (32-28) 93-81 in the Japanese B2 League on Saturday night. He was the best player in that game. Duinker had a double-double by scoring 26 points and getting 11 rebounds (was perfect 5-for-5 from the free throw line) in 32 minutes. It was the game of the round between two top 3 ranked teams in group West. Kumamoto Volters (45-15) are placed first. It was his team's 12th consecutive victory in a row. There are only two games left until the end of the Regular Season. So now every game will be critical. Duinker has very impressive stats this year: 21.0ppg, 10.8rpg and 2.9apg in 42 games. He has a dual citizenship: Dutch and Australian. #3. Michael Vigor (206-C/F-90, currently plays in United Kingdom) contributed to a Bristol Acadamy Flyers' victory against the league outsider Worcester Wolves (5-25) 92-88 in the British BBL last Friday. Vigor scored 10 points, had 9 rebounds and dished 8 assists. Bristol Academy Flyers (15-3) is placed first in the BBL. There are only two games left until the end of the Regular Season. So now every game is very crucial. Vigor's total stats this season are: 6.9ppg, 4.1rpg and 2.2apg. He is another player who holds two passports: Scottish and Australian. #4. Venkatesha Jois (203-F-93, college: EWU, currently plays in New Zealand) could not help Rangers (1-2) in their last game on Saturday. Despite Jois' very good performance Rangers were crushed 91-68 at home by the higher-ranked Rams (#4). He was the top scorer with 17 points. Jois also added 8 rebounds. But this is still an early stage of the season and everything may happen. This year Jois has very high stats. He averages: 22.3ppg, 11.0rpg and 2.0spg. #5. Rasmus Bach (193-G, college: Fort Lewis, currently plays in Denmark) was not able to help Randers (13-11) in their last game. Despite Bach's good performance the fifth-placed Randers (13-11) lost 84-99 on the road to the leading Bakken in the ProA group. He scored 11 points, had 8 rebounds and dished 3 assists in 26 minutes. This year Bach's total stats are: 9.7ppg, 3.9rpg, 1.6apg and 1.3spg in 31 games. He has both Australian and Danish nationalities. #6. Sunday Dech (196-G-94, college: Barry, currently plays in New Zealand) managed to help Wellington Saints in a victory against the sixth-ranked Huskies crushing them 87-60 in the New Zealand NBL in Friday night's game. Dech scored only 4 points, grabbed 7 rebounds and dished 3 assists in 25 minutes. This year Dech's total stats are: 8.0ppg, 7.5rpg and 2.5apg in two games. #7. Joseph Lual Acuil (213-F-94, college: Baylor, currently plays in Israel) helped H.Galilee win their game against the sixth-ranked Ironi Ashkelon 83-74 in the Israeli National League (second division) last Tuesday. He scored 8 points, had 8 rebounds and dished 4 assists. This season Lual Acuil has very high stats. He averages: 18.5ppg, 10.0rpg, 1.5apg and 1.7bpg. Lual Acuil also holds two passports: Australian and Sudanese. #8. Obi Kyei (206-F-94, agency: Two Points, college: Eckerd, currently plays in Spain) was not able to secure a victory for Lleida Basquet in their game against Leyma Basquet in the Spanish LEB Gold (second division). He scored 9 points in 16 minutes. His team was edged 90-88. 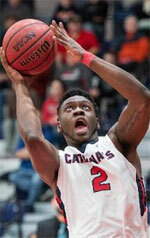 This year Kyei's total stats are: 8.0ppg and 4.1rpg in 31 games. He has British and Australian nationalities. #9. Tony Tolovae (196-G-92, currently plays in New Zealand) helped Rams win their game against one of league's weakest teams Mountain Airs crushing them 107-74 in the New Zealand NBL last Monday. Tolovae scored 7 points in only 14 minutes. It was his first game for Rams this season. Tolovae holds both Australian and New Zealand passports. #10. Jonathan Janssen (206-F-95, college: Hawaii Pacific, currently plays in New Zealand) is a teammate of previously mentioned Tony Tolovae and both played together in the last New Zealand NBL game. Janssen helped Rams win their game against one of league's weakest teams Mountain Airs crushing them 107-74. He scored 7 points. Janssen's total stats this season are: 3.0ppg and 2.5rpg. The fans could enjoy quite many interesting games in the last round. The round ended with defeat of the leader and favorites losing the games. Here is the last round review presented by ESL. The most crucial game of the last round was a loss of top-ranked Wanneroo (6-2) in Joondalup on Thursday night. Hosts were defeated by fourth ranked Flames (5-2) 98-92. Flames looked well-organized offensively handing out 40 assists. Great defensive blocking was one of the keys in this match when Flames made 25 blocks. Forward Greg Hire (201-87, college: Augusta) orchestrated the victory with a double-double by scoring 20 points, 14 assists and 5 steals. American power forward Josh Ritchart (205-92, college: UC Davis) contributed with 26 points and 8 assists for the winners. Guamanian-American guard Earnest Ross (198-91, college: Missouri, agency: Haylett Sports) replied with a double-double by scoring 33 points (!!! ), 11 assists and 6 steals for Wanneroo. Wanneroo's coach rotated eleven players in this game, but that didn't help. Flames moved-up to third place in League. Wanneroo at the other side still keeps top position with two games lost. Flames are looking forward to face Cougars (#10) in Hamilton Hill in the next round and are hoping to win another game. Wanneroo will play at home against Eagles (#8) and is hoping to win this game. Very important is a road loss of third ranked Lightning (4-2) against eleventh ranked Cougars (3-4) on Thursday night. Visiting Lightning was defeated by Cougars in Hamilton Hill 102-88. Worth to mention a great performance of swingman Gavin Field (202-89, college: W.Georgia) who helped to win the game recording 32 points, 8 assists and 4 steals and Eric Milam who added 12 points and 4 assists (on 6-of-7 shooting from the field) during the contest. Guard Rowan Mackenzie (188-99) responded with 27 points and 5 steals. Both coaches used bench players which allowed the starters a little rest for the next games. Cougars moved-up to tenth place in League. Lightning at the other side dropped to the fifth position with two games lost. Cougars will play against higher ranked Flames (#3) in Rockingham in the next round and they do not belong to the favorites in that game. Lightning will play on the road against Slammers in Bunbury and hopes to get back on the winning track. Bottom-ranked Slammers is still unable to win any game. This time they lost on the road their eighth consecutive match to thirteenth ranked Magic (2-5) 94-88 on Thursday evening. American players dominated the game. The winners were led by Shaun Stewart who scored that evening 38 points (!!!) and 6 assists. Even 31 points and 9 assists (was perfect 11-for-11 from the free throw line !!!) by Tyler Livingston did not help to save the game for Slammers. Magic moved-up to twelfth place in League. Loser Slammers still closes the standings with eight games lost. Magic will meet higher ranked Tigers (#11) in the next round and it may be quite challenging game. Slammers will play against Lightning and hope to get finally their first victory. Worth to mention about the upset in a game between Frankston Blues (1-3) and Bendigo Braves (2-3), which took place in Bendigo. Higher ranked Frankston Blues lost to fifteenth ranked Bendigo Braves in a road game 73-88. The best player for the winners was Matthew Andronicos who had a double-double by scoring 16 points and 10 rebounds (on 7-of-9 shooting from the field). Bendigo Braves moved-up to eleventh place in League. Frankston Blues at the other side dropped to the fifteenth position with three games lost. Bendigo Braves' next round opponent will be higher ranked NW Tasmania Thunder (#7) in Ulverstone and it may be quite challenging game. Frankston Blues will play on the road against the league's second-placed Spectres (#2) and will have a slim chance for a victory. Another upset was a game between Eagles (4-4) and Suns (4-5), which took place in Morley. 7th ranked Eagles lost at home to tenth ranked Suns 80-94 on Thursday. Joshua Braun orchestrated the victory by scoring 30 points and 8 assists. Eagles' coach tested ten players and allowed the starting five to rest. Suns moved-up to ninth place in League. Loser Eagles dropped to the eighth position with four games lost. Suns will face Tigers (#11) in Willetton in the next round. In League Eltham W. were smashed by Geelong S. on the road 103-72. Southern T. destroyed W.Adelaide B. on its own court 113-93. Willetton T. unfortunately lost to Perry Lakes H. in Floreat 81-98. Warwick S. rolled over Perth R. at home 106-84. The most impressive performance of 8th round was 21 points, 6 rebounds, 4 assists and 4 steals by Anthony Williams of Geelong S..
Worth to mention about the upset in a game between Frankston Blues (1-3) and Bendigo Braves (2-3), which took place in Bendigo. Higher ranked Frankston Blues lost to fifteenth ranked Bendigo Braves in a road game 73-88. Bendigo Braves players were unselfish on offense dishing 24 assists. The best player for the winners was the former international power forward Matthew Andronicos (208-91) who had a double-double by scoring 16 points and 10 rebounds (on 7-of-9 shooting from the field). Power forward Jake Cowling (196-91) chipped in 19 points and 5 rebounds. Naturalized Sudanese forward Majok Majok (206-92, college: Ball St.) produced a double-double by scoring 14 points, 15 rebounds and 4 assists and American guard Damon Bozeman (190, college: Saginaw Valley) added 19 points and 9 rebounds respectively for the guests. Both teams had four players each who scored in double figures. Bendigo Braves moved-up to eleventh place in League. Frankston Blues at the other side dropped to the fifteenth position with three games lost. Bendigo Braves' next round opponent will be higher ranked NW Tasmania Thunder (#7) in Ulverstone and it may be quite challenging game. Frankston Blues will play on the road against the league's second-placed Spectres (#2) and will have a slim chance for a victory. Everything could happen at the game between two tied teams. Both twelfth ranked Geelong Supercats and 11th ranked Eltham Wildcats had identical 1-2 record. This time Geelong Supercats used a home court advantage and crushed the opponent from Eltham 103-72 on Saturday night. Geelong Supercats forced 20 Eltham Wildcats turnovers. They looked well-organized offensively handing out 21 assists. Eltham Wildcats were plagued by 24 personal fouls down the stretch. American guard Demarcus Gatlin (193, college: SHSU) orchestrated the victory by scoring 28 points, 5 rebounds and 5 assists. Naturalized British forward Lewis Thomas (203-92, college: W.Oregon) contributed with a double-double by scoring 19 points and 13 rebounds for the winners. Canadian forward Grandy Glaze (204-92, college: GCU, agency: Interperformances) replied with a double-double by scoring 16 points and 16 rebounds and center Simon Bradbury (215-89) added 17 points and 8 rebounds (perfect from the field making all eight shots !!!) in the effort for Eltham Wildcats. Four Eltham Wildcats players scored in double figures. The winner was already known earlier in the game, so both coaches allowed to play the bench players saving starting five for next games. Geelong Supercats (2-2) moved-up to ninth place in League. Loser Eltham Wildcats dropped to the fourteenth position with three games lost. Geelong Supercats will face league's leader Kilsyth Cobras at home in the next round and they do not belong to the favorites in that game. Eltham Wildcats will play against Ringwood Hawks (#13) in Heathmont and it may be a tough game between close rivals. Rather expected game when 7th ranked West Adelaide Bearcats (3-4) were smashed by fourth ranked Noarlunga City Southern Tigers (5-2) in Morphett Vale 113-93 on Thursday. Noarlunga City Southern Tigers made 22-of-26 free shots (84.6 percent) during the game. American swingman CJ Turnage (201-95, college: Saginaw Valley) orchestrated the victory with a double-double by scoring 31 points, 14 rebounds and 4 assists. The former international swingman Anthony Drmic (198-92, college: Boise St.) contributed with a double-double by scoring 33 points (!!!) and 10 rebounds (was perfect 7-for-7 from the free throw line) for the winners. American forward Bryan Jefferson (201-94, college: Mary) replied with a double-double by scoring 24 points and 13 rebounds (on 10-of-13 shooting from the field) and guard Patrick Thomas (190, college: Mary) added 23 points and 4 assists in the effort for West Adelaide Bearcats. Four Noarlunga City Southern Tigers and five West Adelaide Bearcats players scored in double figures. Noarlunga City Southern Tigers moved-up to third place in League. Loser West Adelaide Bearcats keep the seventh position with four games lost. Noarlunga City Southern Tigers will face league's leader Norwood Flames in Marden in the next round and it will be for sure the game of the week. West Adelaide Bearcats will play at home against North Adelaide Rockets (#6) and it may be a tough game between close rivals. Rather predictable result when fifth ranked Hawks (5-2) won against 9th ranked Tigers (3-5) in Floreat 98-81 on Thursday. Hawks made 20-of-26 free shots (76.9 percent) during the game. They shot the lights out from three sinking 14 long-distance shots on high 51.9 percentage. Hawks looked well-organized offensively handing out 45 assists. Great defensive blocking was one of the keys in this match when Hawks made 33 blocks. Guard Ryan Smith (192-92) orchestrated the victory by scoring 34 points (!!! ), 5 assists and 4 steals. The former international forward Ben Purser (200-90, college: Augusta) contributed with a double-double by scoring 14 points, 12 assists and 9 steals for the winners. Hawks' coach used a ten-player rotation and allowed the starting five to rest. Guard Jackson Hussey (190-92, college: Pikeville) replied with 24 points and 9 assists and guard Damien Scott (192-92) added 16 points and 6 assists in the effort for Tigers. Both teams had four players each who scored in double figures. Hawks moved-up to fourth place in League. Loser Tigers dropped to the eleventh position with five games lost. Hawks will face Eagles (#8) in Morley in the next round. Tigers will play at home against Magic and it may be a tough game between close rivals. The most crucial game of the last round was a loss of top-ranked Wanneroo (6-2) in Joondalup on Thursday night. Hosts were defeated by fourth ranked Flames (5-2) 98-92. Flames looked well-organized offensively handing out 40 assists. Great defensive blocking was one of the keys in this match when Flames made 25 blocks. Forward Greg Hire (201-87, college: Augusta) orchestrated the victory with a double-double by scoring 20 points, 14 assists and 5 steals. American power forward Josh Ritchart (205-92, college: UC Davis) contributed with 26 points and 8 assists for the winners. Guamanian-American guard Earnest Ross (198-91, college: Missouri, agency: Haylett Sports) replied with a double-double by scoring 33 points (!!! ), 11 assists and 6 steals and American center Kevin Davis (206-91, college: Cent.Washington) added 22 points and 7 assists (on 8-of-9 shooting from the field) in the effort for Wanneroo. Five Flames and four Wanneroo players scored in double figures. Wanneroo's coach rotated eleven players in this game, but that didn't help. Flames moved-up to third place in League. Wanneroo at the other side still keeps top position with two games lost. Flames are looking forward to face Cougars (#10) in Hamilton Hill in the next round and are hoping to win another game. Wanneroo will play at home against Eagles (#8) and is hoping to win this game. Another upset was a game between Eagles (4-4) and Suns (4-5), which took place in Morley. 7th ranked Eagles lost at home to tenth ranked Suns 80-94 on Thursday. Suns looked well-organized offensively handing out 58 assists comparing to just 36 passes made by Eagles' players. Great defensive blocking was one of the keys in this match when Suns made 41 blocks. American swingman Joshua Braun (193-94, college: GCU) orchestrated the victory by scoring 30 points and 8 assists (was perfect 11-for-11 from the free throw line !!!). Power forward Louis Timms (206-91, college: Wayland Baptist) contributed with a double-double by scoring 19 points and 17 assists for the winners. Four Suns players scored in double figures. American guard Cameron Williams (185-95, college: MSU Denver) replied with 27 points, 6 assists and 4 steals and guard Aiden Murphy (183-98) added 7 points and 10 assists in the effort for Eagles. Eagles' coach tested ten players and allowed the starting five to rest. Suns moved-up to ninth place in League. Loser Eagles dropped to the eighth position with four games lost. Suns will face Tigers (#11) in Willetton in the next round. Bottom-ranked Slammers is still unable to win any game. This time they lost on the road their eighth consecutive match to thirteenth ranked Magic (2-5) 94-88 on Thursday evening. Magic looked well-organized offensively handing out 40 assists. Great defensive blocking was one of the keys in this match when Magic made 29 blocks. American players dominated the game. The winners were led by guard Shaun Stewart (183-94, college: Limestone) who scored that evening 38 points (!!!) and 6 assists and forward Marvin Smith (201-93, college: USC Upstate) supported him with 26 points, 9 assists and 4 steals. Even 31 points and 9 assists (was perfect 11-for-11 from the free throw line !!!) by swingman Tyler Livingston (198-94, college: UMass Lowell) did not help to save the game for Slammers. Guard Michael Lay (179-84, college: Concordia, OR) added 29 points, 5 assists and 4 steals for the guests. Magic moved-up to twelfth place in League. Loser Slammers still closes the standings with eight games lost. Magic will meet higher ranked Tigers (#11) in the next round and it may be quite challenging game. Slammers will play against Lightning and hope to get finally their first victory. Very important is a road loss of third ranked Lightning (4-2) against eleventh ranked Cougars (3-4) on Thursday night. Visiting Lightning was defeated by Cougars in Hamilton Hill 102-88. Cougars shot 60.6 percent from the field. Their players were unselfish on offense dishing 27 assists. Cougars brought some defensive toughness making 20 blocks. Worth to mention a great performance of swingman Gavin Field (202-89, college: W.Georgia) who helped to win the game recording 32 points, 8 assists and 4 steals and American Eric Milam (204-90, college: Wayland Baptist) who added 12 points and 4 assists (on 6-of-7 shooting from the field) during the contest. Guard Rowan Mackenzie (188-99) responded with 27 points and 5 steals and American forward Joseph Wall (198-89, college: Seattle Pacific) scored 19 points and 7 assists. Five Cougars and four Lightning players scored in double figures. Both coaches used bench players which allowed the starters a little rest for the next games. Cougars moved-up to tenth place in League. Lightning at the other side dropped to the fifth position with two games lost. Cougars will play against higher ranked Flames (#3) in Rockingham in the next round and they do not belong to the favorites in that game. Lightning will play on the road against Slammers in Bunbury and hopes to get back on the winning track. Not a big story in a game when 12th ranked Redbacks (2-6) were outscored by eighth ranked Senators (4-2) in Perth 106-84 on Thursday. Senators dominated down low during the game scoring 64 of its points in the paint compared to Redbacks' 28. They looked well-organized offensively handing out 47 assists comparing to just 30 passes made by Redbacks' players. Great defensive blocking was one of the keys in this match when Senators made 31 blocks. Forward Caleb Davis (206-95, college: Saginaw Valley) orchestrated the victory with a double-double by scoring 24 points, 11 assists and 4 steals. Center Ashley Litterick (196-96) contributed with 17 points and 9 assists for the winners. Five Senators players scored in double figures. Guard Marshall Nelson (188-94, college: Wayland Baptist) replied with 42 points (!!!) and 4 steals (was perfect 11-for-11 from the free throw line !!!) and forward Majier Garang (200-95) added 8 points and 8 assists in the effort for Redbacks. The winner was already known earlier in the game, so both coaches allowed to play the bench players saving starting five for next games. Senators moved-up to sixth place in League. Loser Redbacks dropped to the thirteenth position with six games lost. Senators will face higher ranked Hawks (#4) in Floreat in the next round and it may be quite challenging game. Redbacks will play on the road against Magic (#12) in Mandurah and it may be a tough game between close rivals.